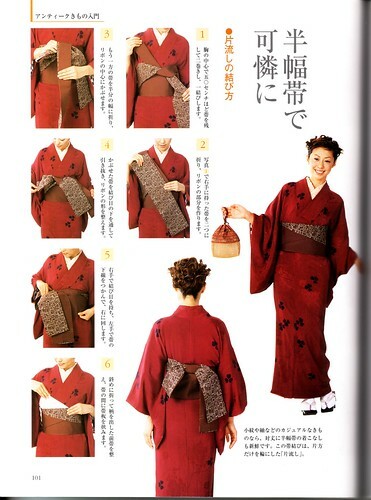 My opinion is – I prefer to wear a kimono I can get an ohashori out of – it’s just a lot less stress when dressing and also helps the kimono sit nicer. And, being 155cm tall – not awfully tall, but tall enough – it’s always nice to have kimono that fit properly without having to worry about faking the ohashori or forgoing it completely. I collect kimono specifically from the Greater Taisho Era…which can make it awfully hard to find kimono long enough to create a proper ohashori, or even to fake it for that matter. These kimono are often so gorgeous, and in amazing condition for their age, it is such a shame to not wear them just because they are a tad short. So I often wear kimono without ohashori and have done so for quite a few years. Well, to say I go completely without an ohashori is incorrect. On a technicality – I do wear ohashori with these kimono – but it’s so tiny and hidden under my obi you don’t see it. The likelihood that you could get away with wearing kimono with absolutely no sort of ohashori is narrow, as you need to be able to adjust the kimono to sit nicely over your derriere, hips and thighs. If the kimono is wide enough, you’re in luck as it may work, however, an ohashori, even the tiniest of one, allows for the adjustment of fabric to make it sit right. As you can see – even Mamechiyo-san has the same opinion! Along with what Mamechiyo had to say, I’m seeing more often than not in kitsuke coordinate books and blogs focusing on antique and vintage kimono women wearing kimono minus the ohashori. 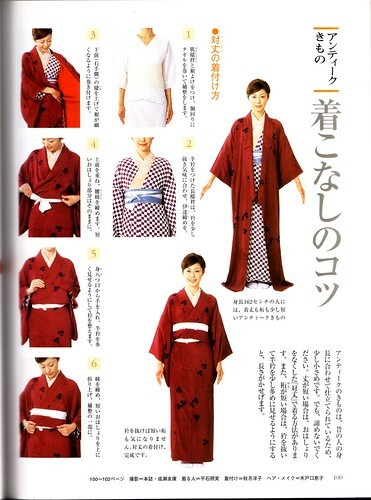 And just yesterday, I received a new kitsuke book that has instructions on how to wear too short kimono! With all that said, to ohashori or not? As long as your kitsuke is impeccable (which shows the lack of ohashori was a conscious choice, and not a mistake) – you should be fine. There’s no point letting those gorgeous pieces of art sit in your closet, never seeing the light of the day again, right? What's Black, White & Red All Over?